How to turn OFF "Hi Galaxy"
Occasionally my phone will be taken over by the truly awful and horribly intrusive voice announce thing. Instead of the sound I've selected for incoming calls, or alarms, or indeed anything at all, I hear a truly appalling female voice announcing that I have an incoming call or an alarm of whatever it is. 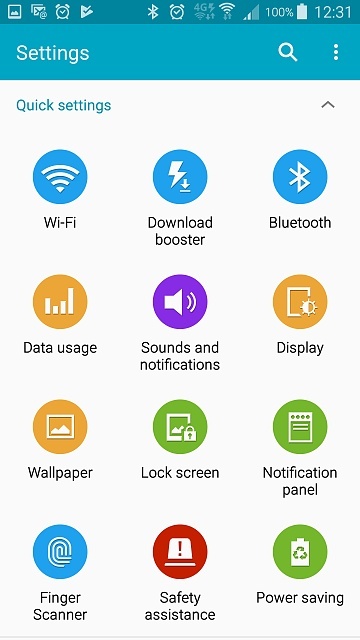 When I open the phone there is a screen inviting me to say "Hi Galaxy", with several options. Repeatedly (and feverishly) tapping the "return" button on the bottom right of the phone eventually makes it go away, but it always returns and, uninvited and unwanted, takes over my phone again. How can I permanently get rid of this seriously offensive piece of pointless software? Very clever stuff, and to some users, especially disabled, an invaluable aid. It can be switched off via your App Manager. Thank you belodion for you rapid response. You are right of course, different strokes for different folks. I find it intensely irritating, others find it intensely useful. I followed the link you posted, however it would seem I don't have S voice on my phone. I cannot find anything called svoice, s voice or s-voice. Also, when I go to Settings it looks nothing like the screenshot on the link. In other posts it is suggested to turn things off or on in the accessibility screen. I have found that screen and turned everything off, but still the problem (for me) exists. I've added some screenshots that I hope will help. If there's one thing about which I know little - and trust me, there are millions of things - it's Samsung phones. 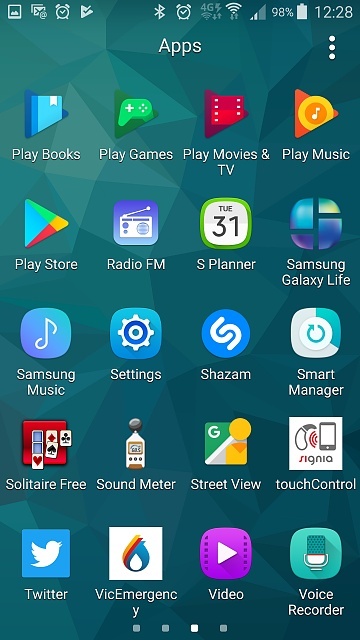 Do you not see S Voice in Settings, App Manager, All, if you scroll down? It would probably be listed in there, rather than having a home screen icon as in your screenshots above. That is a valid point that even from the settings menu, a search for s voice produces no results. What about double-tapping Home, then going into the three-dot menu? Thanks to belodion and methodman89 for your help. Get back to us if it doesn't. By 'Home', I meant one of the buttons at the bottom of the display....so far as I know, the middle one on a Samsung, with Recents on the left and Back on the right. And so far my phone has not been hijacked! Is Lookout riskware apps anything to worry about? Why is my Facebook account causing my phone to restart when I try to login?